The Northfield Senior Citizens popcorn wagon is in place. 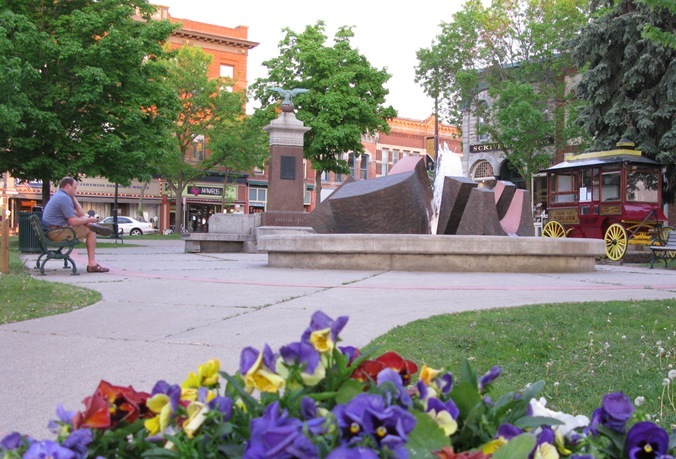 Workers from the City of Northfield Streets, Parks & Facilities Division have given the Sheldahl anniversary fountain a fresh coat of interior paint. The Northfield Garden Club has flowers in the pots.